There are several New York wine storage company options available. 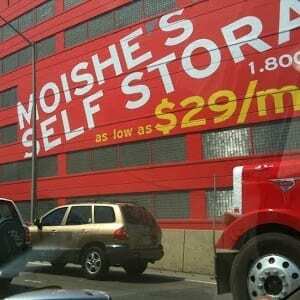 None succeed in rising to meet the standards that Moishe’s Self Storage holds ourselves to. We know that if you want to succeed in the city, you need hard work and dedication above all else for sure. In some cases, a little luck is always appreciated. When our company started almost four decades ago with just a man and his truck, it wasn’t luck, however; but hard work and dedication that made Moishe’s the best New York wine storage company available in the city. While Moishe’s Self Storage is not only a New York wine storage company we excel at this aspect of our business. The reason being, every unit in each facility that services every borough in New York City is designed to handle just about any type of property that needs to be stored inside. With our facilities you’re always finding the best quality and service that you’ll be able to find in the city. This includes the myriad of other specific New York wine storage company options. This is because of our dedication to offering variety and a large amount of services for free. Moishe’s offers around the clock storage for no extra cost. So if you’re a restaurant owner that needs to quickly summon a wine bottle for a special guest our nearby storage location has go you covered. This includes our portable storage options for more immediate circumstances and storage solutions. You’ll find exactly what you’re looking for with Moishe’s Self Storage we guarantee it. Call (800) 536-6564 or click here to contact a storage advisor that will assist you in finding the perfect storage solution for your New York wine storage company needs. We can help you no matter the specific nature of your request. Call in to end your search for self-storage facilities near me today and start reserving your wine storage company location right away.